Hey guys, as everything starts, everything ends, but god. Anyway, I am 14 by now and I think it is my time to quit Club Penguin blogging. There have been good virtual friends in my life, but they stay virtual. Now, I am going to dedicate 100% to my life. I'll be quitting my twitter too soon, so I will quit Club Penguin in some months. I have a good social life, a rock music band to play and sing in, and many things to do. So this is the good bye. 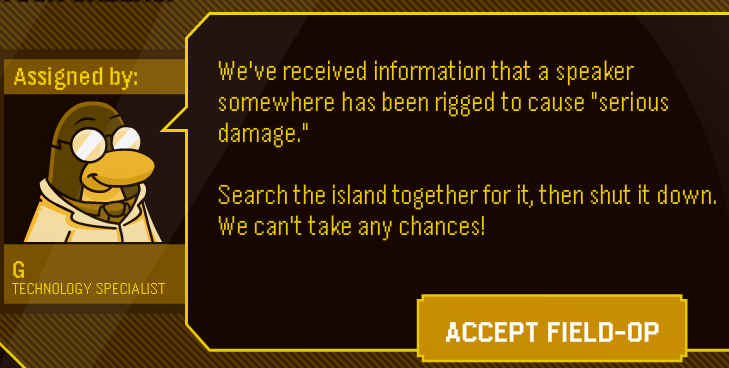 No, I won't return. Just make sure to remember me. Good bye my fellow penguin friends, I will moderate comments until Monday. For everyone taking part in our Art for Haiti project, today's an important day... It's time to vote for our finalist! After careful consideration, the team has picked the top 4 submissions. Now everyone needs to decide which picture to paint for the mural in Haiti. Which one did you vote for? I think they are all pretty awesome but I'd have to same option D has a lot of nice detail. I voted for option D, what about you? 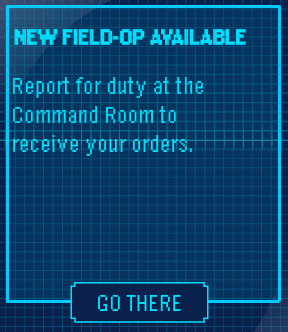 Field Ops Mission 11 Guide! 4. 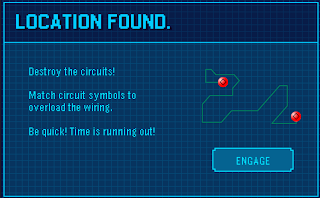 Click on "Go there"
9. 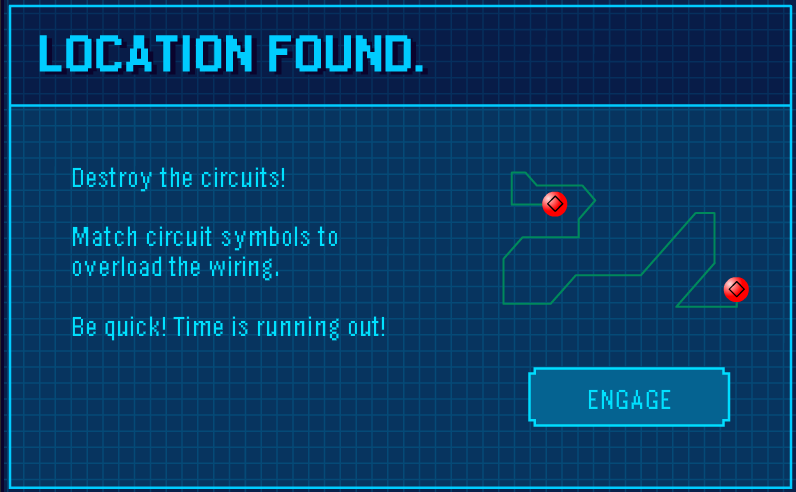 Your Spy Gadget should start blinking, click it! 11. 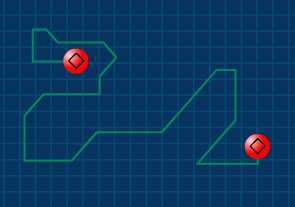 Match the shapes in pairs by clicking them to connect them! 12. Congratulations! The Field Operation is done! 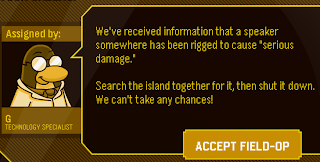 Recieve your medal, and enter the elite gear to buy stuff, or just go on by clicking "OK"! Let us know what you think in your comments! 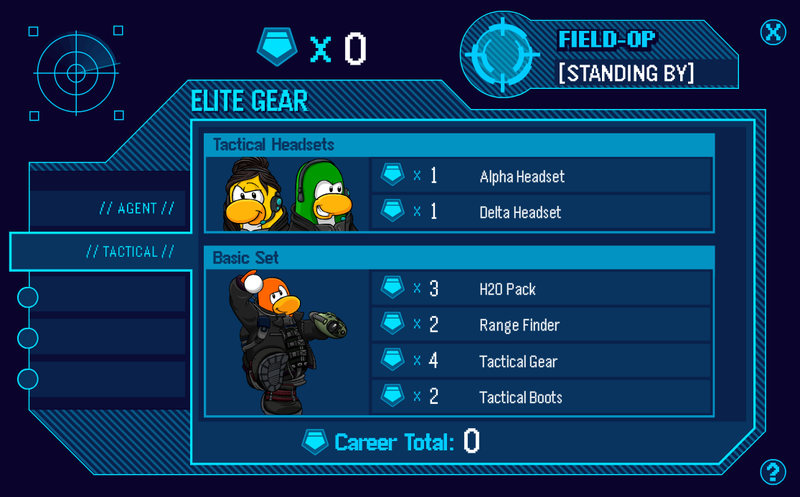 EPF Elite Gear: Tactical gear is out! 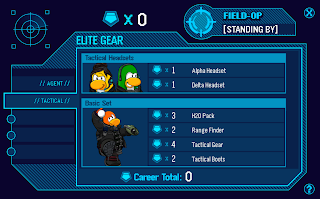 Club Penguin just released the 11th Field Operation, with as addition to it, new Elite Gear. This new Elite Gear is designed for tactical situations. Check it out. The new Elite Gear is available under the Tactical tag. What do you think? Do you want more gear comming up? Did you like it? le tus know in your comments! Wanna join the blogroll? Send us an email to alighf@clubpengucheats.com telling us your site's name, link, etc..., and we will see if to add you or not!